Advancements in technology are awe-inspiring, but we mostly associate them with video games, and focus on the entertainment benefits they provide. We view 3D most often as a method of additive manufacturing, and focus on how many industries use it for various different purposes. With 3D printing, people can use computer models to create real objects. With the right software, we could create many different objects for various purposes. For example, the team at Thinker Thing has developed a software that can generate models for 3D printing, compatible with any 3D print technology. It is very simple and anyone can use it to create anything, from perfect figures for a board game to complex models. However, 3D technology and 3D printing also have health benefits, and as such, can make our lives better. 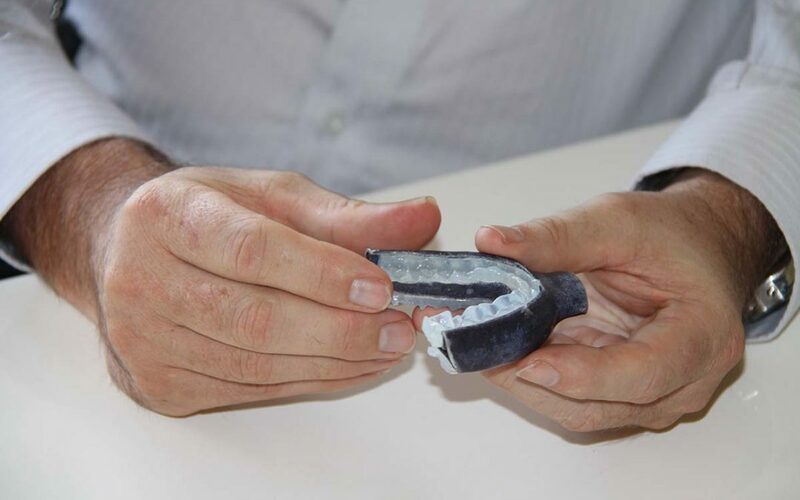 Already, scientists and researchers use 3D software in hospitals and research areas in medicine; however, 3D printing can also help improve our daily lives as well. In this case, we will focus on how we can use 3D printing help us sleep better. Sleeping disorders are very common today. Many people suffer from insomnia, night terrors, and other disorders that cause sleep disruptions. One of the most common sleep disorders is obstructive sleep apnea. Obstructive sleep apnea occurs when the air passages in the nose and throat are blocked during sleep. The most common symptoms include sudden waking during the night due to the feeling of choking, snoring, and other interruptions in sleep. The negative consequences of obstructive sleep apnea are twofold. First, the sleep interruption means the person suffering from obstructive sleep apnea does not get good quality sleep during the night. Second, due to the lack of oxygen in the brain, the long-term consequences of obstructive sleep apnea include chronic conditions such as diabetes, irregular heartbeat, and even cause heart attacks and strokes. In the case of obstructive sleep apnea, CPAP machines are what most people to turn towards to treat it. Using a CPAP machine is a change in lifestyle, because once you have begun to use it, you should not stop because the obstructive sleep apnea symptoms will come back. Moreover, the positive effect of CPAP machines becomes apparent after a few weeks of use, for most people, but other people need to use it for months to notice a difference in the quality of their sleep. A CPAP machine has three parts: the CPAP machine, a flexible tube, and a mask. CPAP stands for Continuous Positive Airway Pressure. The machine increases and lowers the pressure of the airflow through the tube and the face mask, and as such, helps keep the airways open throughout the night, enabling the person to enjoy a full night’s sleep without any disruption. Of course, CPAP machines also help eliminate the risk of the long-term negative effects of obstructive sleep apnea, including heart attacks and diabetes. In order to enjoy the health benefits of CPAP treatment, you need to calibrate your CPAP machine to use the correct pressure. Otherwise, the pressure might be too high or too low, and you would not be able to sleep properly, despite using the machine. For that reason, you should always see a sleep specialist or a doctor, who will be able to determine the right airflow pressure for you. Another problem is the tube – you need to get a machine with a tube that is both long and flexible, especially if you tend to toss and turn during sleep. You do not want to disconnect the tube during sleep, because that might cause waking and a choking sensation. However, the reason why most people stop using their CPAP machine is the uncomfortable feeling they have on their face during sleep. People can use three different types of masks with a CPAP machine. The first type is a full facemask that covers both the nose and the mouth. The full mask can be highly uncomfortable and cause feelings of claustrophobia in the wearer, and make it difficult for him to fall asleep. However, this mask is necessary for the people who tend to sleep with their mouths open and breathe through both the nose and the mouth during sleep. On the other hand, people who tend to sleep with their mouth closed and have problems with their nasal passages can use a smaller mask that only covers the nose, or an even smaller mask that has only two silicone plugs for the nose. Nevertheless, many people find these two also uncomfortable. In addition, many other problems occur with the facemasks. Many people complain of jaw pain, a loose feeling in the jaw, and often, the mask causes problems for the person’s teeth. As previously stated, we can use 3D printing software to create models to 3D manufacture almost anything. In the same line, we can use the same tools to create unique facemasks. Instead of using generic facemasks that are uncomfortable on a person’s face, we could create unique facemasks for each person. Ideally, we could take a person’s measurements, map their face contours, and create a computer model for the kind of mask that will feel most comfortable on their face. In turn, the person would be able to use the mask with their CPAP machine and get a good night’s sleep without disruptions and feelings of claustrophobia and discomfort. Many people might be suffering from obstructive sleep apnea without being aware of it. In some cases, obstructive sleep apnea only manifests as excessive snoring and breathing interruptions that are short and unnoticeable. The negative effects of sleep apnea, however, do tend to show later in life, and as such, it is imperative to discover the sleeping disorder in time to prevent them. Moreover, CPAP machines can also aid people that suffer from insomnia. Since the CPAP machine controls the pressure of the airflow, it can aid a person’s breathing, and as such, help him or her relax and fall asleep easily. However, CPAP treatment is very difficult for most people. The creation of unique, custom 3D facemasks can be highly beneficial for many people.